Apatzingán, located in the hot Tierra Caliente valley, in the west-central part of the Mexican state of Michoacán, has received media attention because of the strong presence of notorious, powerful and wealthy drug trafficking cartels. 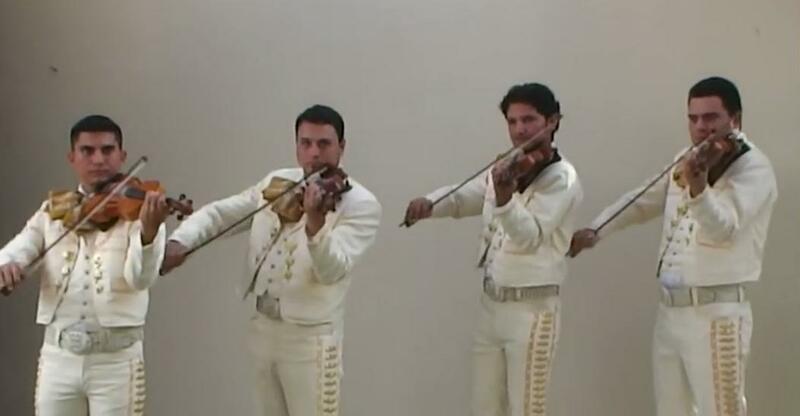 But it's also the home of some beautiful music, as played by the Apatzingan Real Mariachi Band. In this video, they perform a Mexican version of Hava Nagila that we're adding to our collection of more than 50 versions. Jerry Seinfeld in Tel Aviv: "It Is What It Is"